A quick view of the most influential metrics in Franklin Square. Franklin Square is a medium-sized hamlet and CDP in the town of Hempstead, in Nassau County, New York. It has about five neighborhoods and is the 43rd largest community in the state. Bank credit cards were invented in Franklin Square as was the drive-up teller windows and junior savings accounts. It has a mixed workforce and job market with both white-collar and blue-collar workers. There is a high rate of home-ownership of traditional single family homes that give the community a certain stability and charm. It is also blessed with low crime rates, good schools, and quiet streets. It is an upper-middle income community in comparison to state economic standards and wealthy in comparison to national economic standards. It is extremely diverse both ethnically and racially speaking and nearly 23% of the town's population were born outside the United States. English remains the primary language in the community, but other important languages include Spanish, Italian, several Asian languages and Tagalog. Before the arrival of European settlers in the mid-1600s, the land that would one day become Franklin Square was inhabited by a number of indigenous tribes like the Matinecock, Mericoke, and others. In late 1643, settlers Robert Fordham and John Carman made a treaty with members of local tribes to buy 100 square miles of land. It is though that the name Franklin Square comes to the community in honor of Benjamin Franklin, but it is not known for certain. For many years the lands remained primarily rural/agricultural. But, by 1952, the farms had largely vanished and new homes and developments filled the space as the community grew and grew. Today, despite its rustic beginnings, it is a thriving suburban area with a global feel. The hamlet and CDP span 2.9 square miles. In 2000, the population was $29,342 and the population density was 10,169,2 people per square mile. In the same year, the median household income in Franklin Square was $80,164, the median family income was $87,485 and the per capita income was $24,149. By 2013, the estimated median household income for the community was $84,932 and the estimated per capita income was $33,076. Further, in 2013, the estimated mean housing price for all units in Franklin Square was $521,906 and the median gross rent was $1,459. These figures reveal a strong and stable community both in terms of population and economy. Public education within Franklin Square is primarily provided by the schools of the Franklin Square Union Free School District, which is made up of three schools and just over 2000 students. However, there are a number of other schools districts that serve portions of Franklin Square and offer excellent educational opportunities as well. Schools in Franklin Square include Willow Road School, Polk Street School, Valley Stream Junior-Senior High School, Washington Street School and many others. Franklin Square has an excellent volunteer fire department and is protected by the Nassau County Police Department's Fifth Precinct. Homes for sale in Franklin Square range from small homes in modest developments to sprawling historic homes and luxury housing. Other real estate and housing options include apartments, condominiums, townhomes and more for rent or lease. To begin your home search in the Franklin Square, contact the local real estate agent Edward McNulty at (516) 887-3603 and begin your search today. 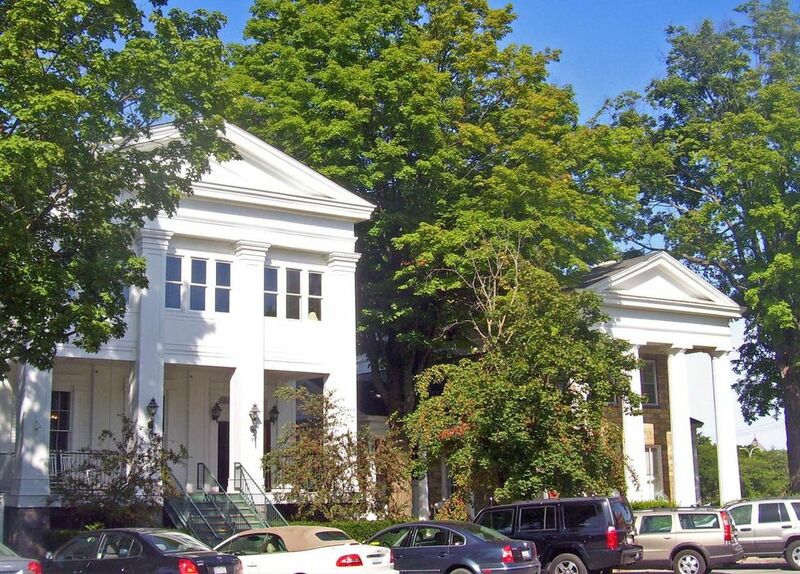 View our selection of available properties in the Franklin Square area. Check out the latest demographic information available for Franklin Square. Learn more about schools near Franklin Square complete with ratings and contact information. Browse through the top rated businesses in the most popular categories Franklin Square has to offer.